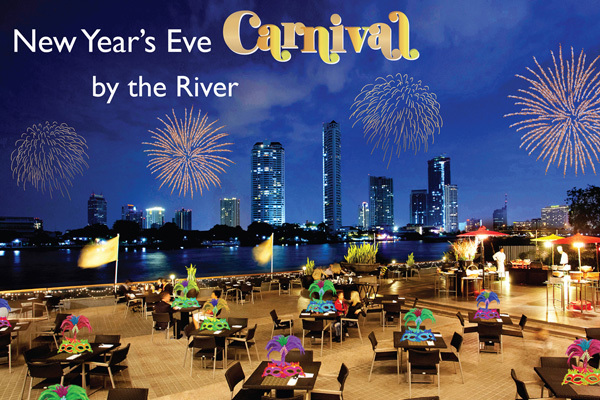 Celebrate the arrival of the New Year at Chatrium Hotel Riverside Bangkok by attending the fun-filled New Year's Eve Carnival by the River and enjoying a remarkable experience at our River Barge and Pier 28. Enjoy the New Year with a spectacular interactive buffet with an amazing choice of delicious cuisine amid the majestic Chao Phraya River. Swing dance to live music and enjoy fabulous entertainment from the moment you arrive through to the early hours of the morning before welcoming in the New Year with a spectacular fireworks display. You'll have a big chance to win some great lucky draw prizes. Our kid’s club will certainly keep them entertained as well. Special: Book before the 15th December 2011 and enjoy a remarkable reduced price at Bt 2,999++ for adult and Bt 1,799++ for child. For more information or reservations, please call Chatrium Hotel Riverside Bangkok at 0 2307 8888 ext 1914 or e-mail: dining.chrb@chatrium.com, www.chatrium.com. Silver Waves Restaurant of Chatrium Hotel Riverside Bangkok is featuring the heritage of Chinese cuisine specially prepared for both lunch and dinner a la carte menu throughout December 2011. Explore classic Cantonese delicacies including Abalone, Sea Cucumber, Fish Maw and Bird’s Nest which await you in a wide variety of tempting menus such as Steamed Abalone Stuffed with Prawns, Braised Sea Cucumber and Black Mushroom in Brown Sauce, Wok-fried Fresh Fish Maw with X.O. Sauce, Double Steamed Bird’s Nest Soup with Yunnan Ham, and more. 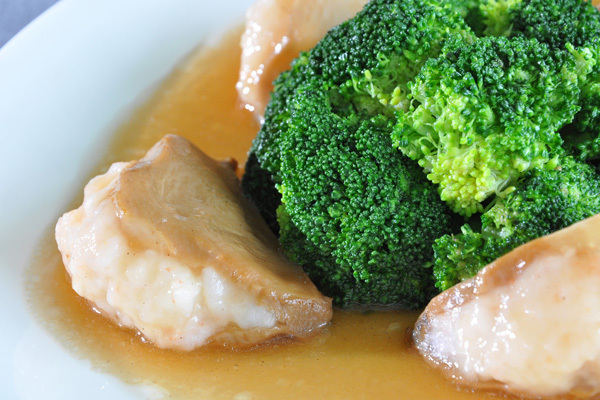 Savour the flavors of Chinese cuisine while enjoying stunning views of Chao Phraya River. River Barge Restaurant of Chatrium Hotel Riverside Bangkok is introducing a real taste of Thai food for both lunch and dinner throughout November 2011. What’s your favourite Thai dish? We are serving this month for lunch and dinner a selection of the top 50 best-loved Thai culinary creations with their myriad of ingredients to satisfy your appetite. 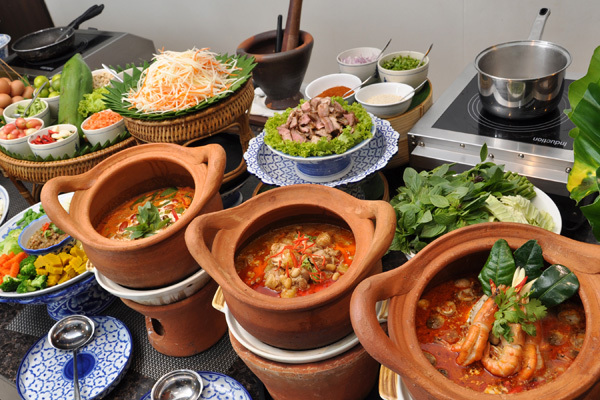 Thai food is just like Thai culture - exotic, colourful and full of wonderful surprises. And if it’s your first time in Thailand, what better way to begin experiencing the “Land of Smiles” than by sampling its signature cuisine, from the famous hot sweet and sour Tom Yum Goong to the aromatic Massaman Curry and more at River Barge. Chatrium Hotel Riverside Bangkok is offering Lychee delights available at Treats Gourmet throughout November 2011. Every month Treat Gourmets has something new for you, and November is no exception. You’ll adore our Pastry Chef’s classic dessert variations of lychee, a great tasting fruit known for its distinct “perfume” flavour. 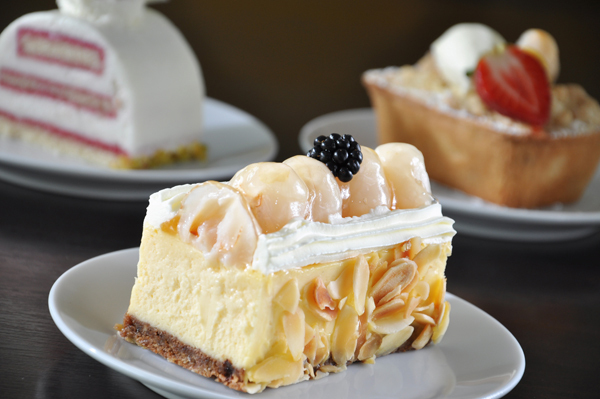 Lychee Cheese Cake, Lychee Mousse Cake, Lychee Tart, Lychee Yoghurt Mousse, and Lychee & Mango Crumble are just a few of the goodies on offer. Drop by!